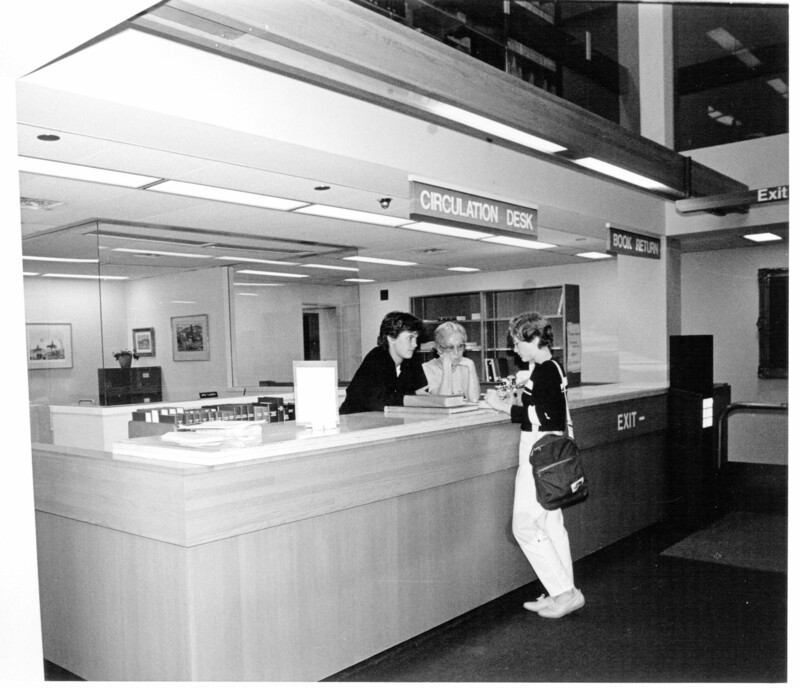 A student conducts business at the circulation desk, which in 1984 was located on what is now the first floor of Penrose Library. The desk was in the northeast corner of the building. Notice the pillar near the "Book Return" sign that leads to an opening in the floor above. This feature remains in the current third floor of the library, but was closed on the second floor during the construction of 2000. 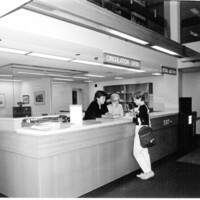 “Circulation Desk,” Whitman College Archives, accessed April 24, 2019, http://www.whitmanarchives.org/omeka/items/show/10.